All organisms require a continuous supply of energy in order to stay alive. 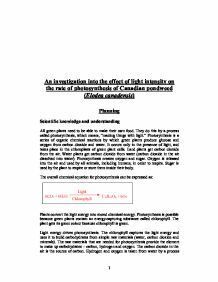 This energy can be obtained by the absorption of sunlight during photosynthesis, the absorption of chemical potential energy from large molecules or obtained by certain chemical reactions, which can be carried out by some specialised bacteria. 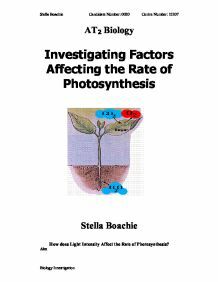 Almost all life on Earth depends on photosynthesis, either directly or indirectly. 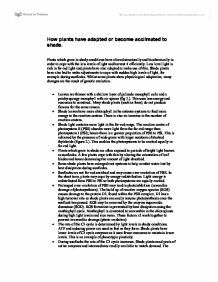 The process of photosynthesis is vital since it supplies organisms with both an energy supply and useful carbon compounds. Photosynthesis supplies humans with the food they use as an energy source, the oxygen we need to release the energy from this food source, and a huge variety of useful products such as wood, coal and natural gas. The light-independent stage uses the ATP and NADP made during the first stage to convert carbon dioxide into simple carbohydrates. These simple carbohydrates can then be transformed into a large number of other organic molecules. 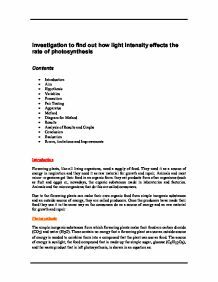 Investigating Factors Affecting the Rate of Photosynthesis. 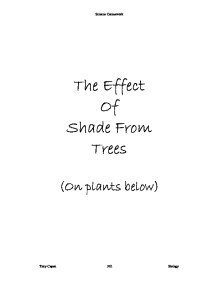 How plants have adapted or become acclimatised to shade.